Flowering DateMid to late summer. Planting InstructionsPlant at same depth as container. Soil RequirementLight, moderately fertile soil that is well drained. Flower Form5 to 7" long bottlebrush type blooms are long and prominent. Foliage TypeLong, bright green in summer, turns golden brown in fall. 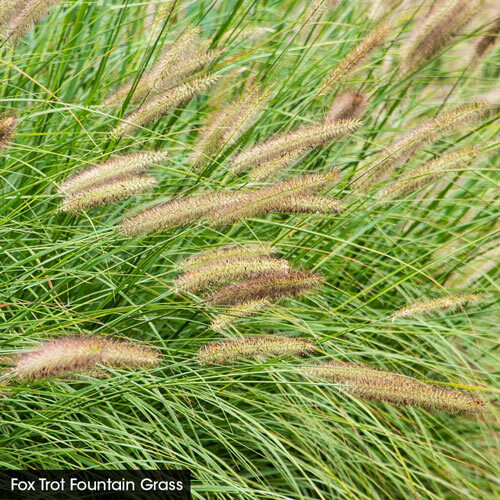 Additional InformationPennisetum is derived from penna, a feather and seta, a bristle. Foliage TypeGreen foliage begins to turn purple and deepens as fall progresses. Watering RequirementAverage water needs until established. Planting InstructionsPrefers well-drained soil. Drought tolerant once established. 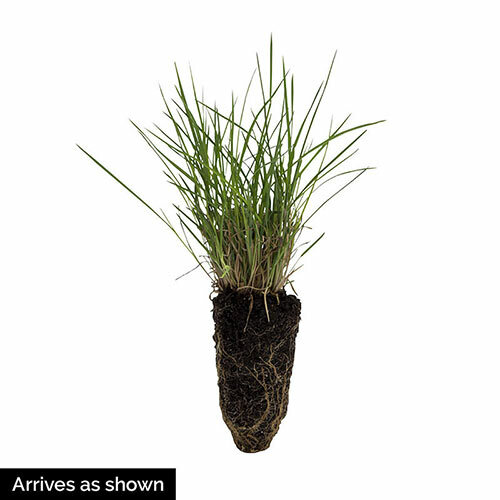 Set plant at same level it is growing at in the container, firm soil and water thoroughly. 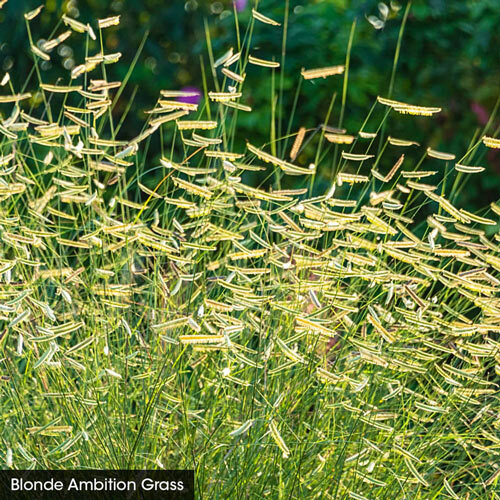 Flower FormFlat, 1 1/2 - 2", flag-shaped chartreuse-beige flowers that float horizontally on wiry stems above the blue-green foliage. PruningTrim back to 4 - 6" in early spring. Early spring. Flowering DateLate summer through fall. Flower FormSmall tan seed heads appear in late summer through fall. PruningCut to the ground in late winter to early spring. Unique CharactersticsNorth Creek: A North Creek discovery sure to give a brilliant performance in the landscape, worthy of applause. 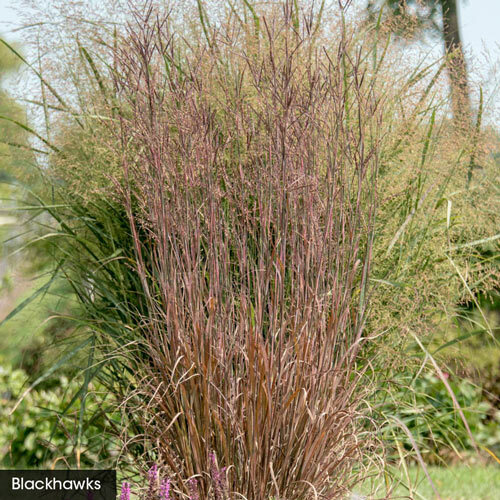 It keeps a tight, upright habit throughout the entire season and has stood strong even in the rich soils of our trial gardens. 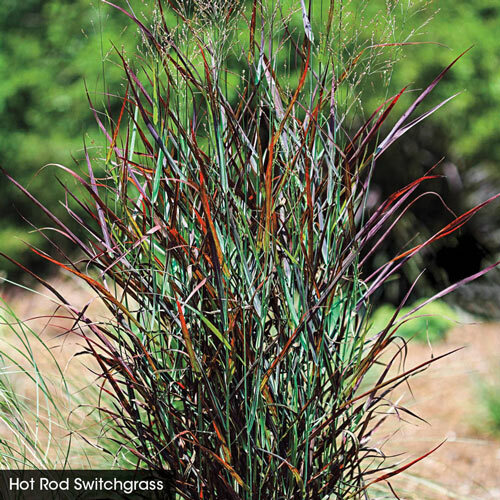 A warm season grass that does well in poor, dry soils. 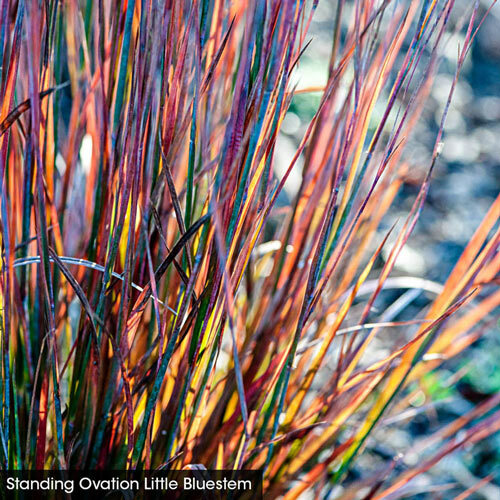 Spikey bluish-green stems and leaves transition to a sizzling display of oranges, reds, yellows, and purplish-browns in the autumn. 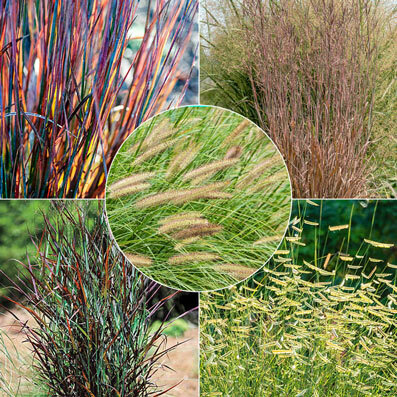 Also provides winter interest before cutting back in early spring to make way for new growth.